The subject of Voluntary Counseling and Testing (VCT) in Zambia draws a lot of interest from many people. This is so because issues of HIV and AIDS are no longer restricted to the health realm but have also taken centre stage on the socio-economic platform of Zambia. Many AIDS activists have been urging Zambians to know their HIV status through VCT but many people have been snubbing these services for different reasons. This is despite the fact that research has shown that knowing ones HIV status is important because it allows individuals to manage the virus knowledgeably. The abstinence from VCT services has caused some people to live in self-denial for fear of being stigmatized in society. But self denial is dangerous when one is suffering from HIV/AIDS because it results in that person denying him or herself the right to care and treatment that is readily available in Zambia. Many people shy away from VCT for various reasons, one of which is fear of stigma – real or imagined. They would rather treat diseases such as malaria and coughs. Some patients only decide to find out their HIV status when it is too late and their immune system is completely damaged. The most unfortunate part of all this is that even people who are literate, those who work in middle class jobs and some high profile personalities, are also part of the group shunning VCT. “When one knows his or her HIV status, it is easier for that person to know what lifestyle he or she should live. One will be able to know how to prevent infection, re-infection, infecting others, or simply how to live positively, in the event that one is HIV positive” says Zambia AIDS Network (ZNAN) executive director Elizabeth Mataka. If one is negative, he or she will be able to know what preventative measures to put in place to protect them from getting infected. The role of VCT is very important and beneficial because knowledge is power.
. When you are empowered with knowledge, you can be in a position to help yourself as well as others. Stigma remains a stumbling block in all this. Self stigma and stigma from others if one has gone for VCT and if the result is positive is what prevents some people from accessing these services. Yet in all fairness, of what benefit is the fear of stigma if it leads to your inaction and ultimately your progression from having HIV to full blown AIDS? Is it not better to face the challenges that come with stigma and prolong your life? It is better to know one’s HIV status in good time rather than wait when it is too late to start treating AIDS. 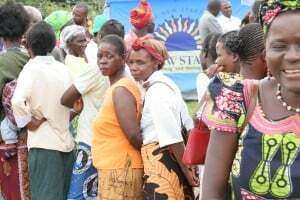 Statistics have shown that recently, the number of people going for VCT has increased in Zambia. But the number of people staying away from VCT is also equally high.This calls for more efforts to encourage people in both rural and urban areas to utilize VCT services and know their HIV status.